The first wave of genomics can be characterized by the “sequencing era.” In 1990 the Human Genome Project debuted, captivating the country and the world. A dramatic increase in the effectiveness of sequencing technology and the corresponding decrease in the cost of sequencing the human genome put personalized medicine center stage. Research focused on new genomics-driven therapies skyrocketed. A massive new industry was born. The current “second wave” of genomic technologies leverage fast, cheap genome sequencing technology for disease treatment and therapy. This requires more and more accurate interpretations of the sequencing data, made possible by high-throughput genomic analysis engines. A third wave is in progress now, focused on integrating genomic data with other types of data. Soon, a wide variety of health and wellbeing apps and platforms will be able to do things like connect variants to environmental, lifestyle, dietary, and activity related factors, guiding both sick and healthy people towards a fundamentally better quality of life. The promise of genomics is increasingly an everyday one. What does this all mean? 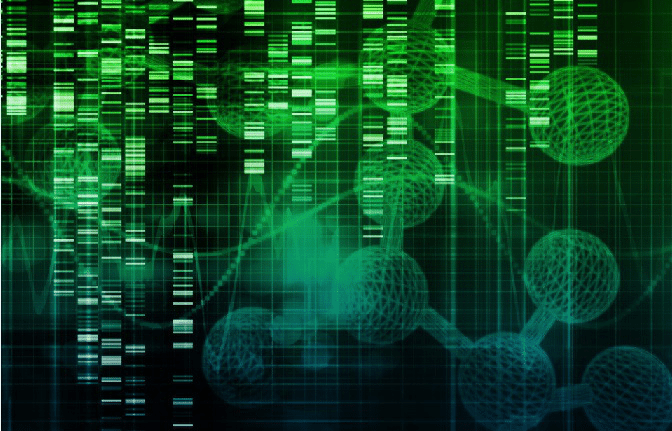 If genome sequencing is fast and cheap, analysis and interpretation are accurate, and genomic data is put into a wider context so that we can leverage insights in daily practice, many new things quickly become possible. The genome is in many senses a database that we have constructed and curated and built new interfaces to. As a result, it will soon be the latest addition to what has for been referred to as the API Economy. Computer programs themselves will be increasingly able to accommodate genomics, perhaps in ways no more remarkable than how Mint.com pulls together your bank balances. It’s this piece that I’m most interested in because a whole generation of software and hardware developers will soon be able to think about personalization at a molecular level, without the need for a bioinformatics team or a PhD. This will be the fourth and perhaps final wave. This is an exciting prospect; imagine designing new functionality that leverages a fundamental, inner truth about your user or customer in a way never before possible.